Theres not a lot of discussion in the 350z section but thought id try my luck. 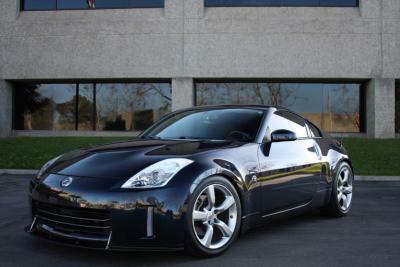 Anyone know where i can find a clear or black front bar reflector for an 06-08 model z?? had a look, they seem cheap, plus i think they look like they fit pre 2006 models. Any suggestions on any sponsors on here i may be able to ask? A reversible solution is to tint the lenses with translucent vinyl. You won't need to worry about fitment cos you are using stock parts. Works great, heat-proof, completely reversible and cheap!